We are an Independent Catholic school in the Dominican tradition, co-ed P-4, girls 5-12. We welcome applications for enrolment for any Year group depending on vacancies. Prep: Prep students are children who will turn four years of age by 30 June in their Prep year. Kindergarten: Kindergarten students are children who will turn five years of age by 30 June in their Kindergarten year. A copy of the student’s passport, plus residency visa or proof of citizenship (if student or both parents were born overseas). The applicant’s family will meet with a senior member of our College Leadership Team. This is an opportunity for parents, the student and College staff to discuss the needs of the student and the expectations of parents, students and the College. When we have received your signed Enrolment Contract and the Acceptance Fee we will issue a confirmation of enrolment. Please email a copy of the child's birth certificate to: enrolment@ssc.nsw.edu.au If the child's birth certificate shows both parents are born overseas you will be required to provide evidence of the child's citizenship. As shown on passport or citizenship documents. What date did the student arrive in Australia? Is the Student of Aboriginal or Torres Strait Islander Origin? Are there any current family law or other relevant court orders? 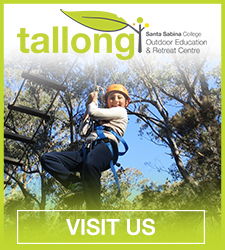 Include students attending Santa Sabina College and those on the waiting list. If Yes, what type of needs? If Yes, have they received support for this need?